My people are the best people in the world. They are the best people in the world because they love me, their el presidente. And it is only natural that they should love me. After all, it is I who first looked at this little undeveloped island and saw potential. Where bare plains sat, I saw lush farmland. Where empty beaches baked in the sun, I saw the spread of visiting sunbathers’ blankets. I organized builders to construct tenements. I urged farmers to plant crops. Corn and papaya began to fill bellies. Immigrants arrived, and I set them planting tobacco and pineapple. I invested heavily in factories where my people could roll and can it all, and our shipping dock grew full of profitable, cheaply processed goods. On this island, the true holy trinity is Agriculture, Tourism and Industry. Every sim/strategy game has a repetitive nature: Find the correct combination of factors and bring them into play as quickly as possible. But nothing on this island is as simple as gringo gamers think. Hurricanes blow. Rebellions arise. The workforce erodes as my people grow old, lose their incomes and move to shacks which end up cluttering the island right where the sightseeing yanquis want to stroll.… You can see that Tropico 3 isn’t exactly a day at the beach. My people are simple islanders, but they are not simplistic. They follow their instincts with whimsical humanity. Unlike those other digital souls, the Sims, who can function like automata as long as all their needs are fulfilled, the Tropicans are restless and ever-changing. Satisfy one of their desires and they will develop a new one. Before long, they tell me that my coal-driven power plants are polluting the air. They make indiscreet inquiries into my financial transactions with Switzerland. After a few years, they’re rejecting the local café because of its chintzy paper napkins and leaving the island for someplace where the local police are more sensitive. Fine, I say. Let them go. Let those lazy complainers find some other island. I don’t want them anyway. The only people who are good enough to be my people are the best people in the world. THE GOOD: Lest you think my island paradise is all about ripping a profit from the earth and ripping off turistas, I would ask you to tune your ear to the sounds of Tropico 3. The intoxicating rhythms of Latin music fill the air. Oh, sure, the handful of tunes does grow familiar in such a long, cyclical game. But each one of them is a culturally spirited work of art — living and laughing, just like this island. 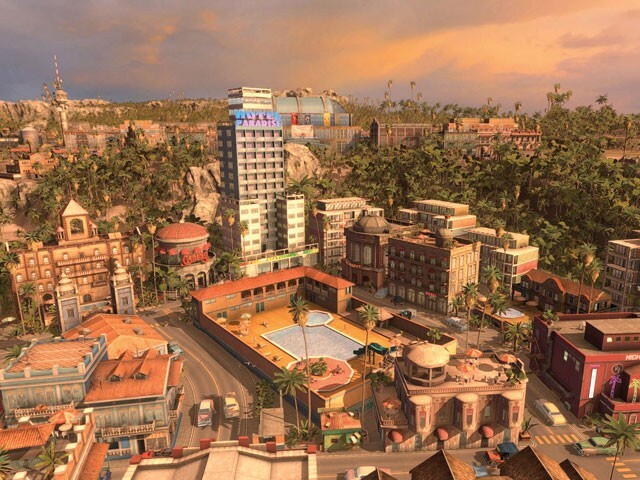 THE BOTTOM LINE: Tropico 3 is sim paradise.